Help your website stand out on organic SEO results. Google is actually helpful when it comes to recommending you how to optimize your web pages for search. 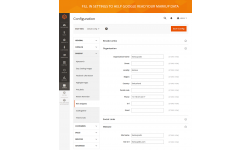 As you probably know Google has Structured Data Testing tool. Once you have published the content of your site, you can test its visibility in google search via that tool. We offer the great feature that helps website structured data indexing and Google's crawlers better understand the meaning of your site content. 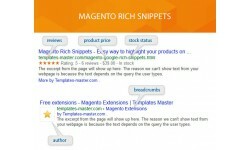 Rich Snippets is a structured data markup that is used by search engines to be presented in search results. 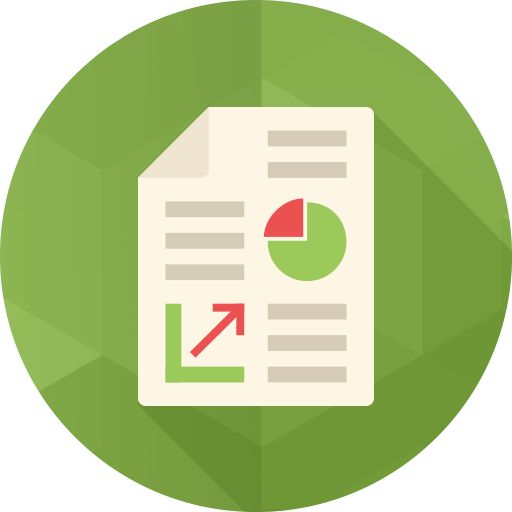 Our module will help you to implement this structured data markup. 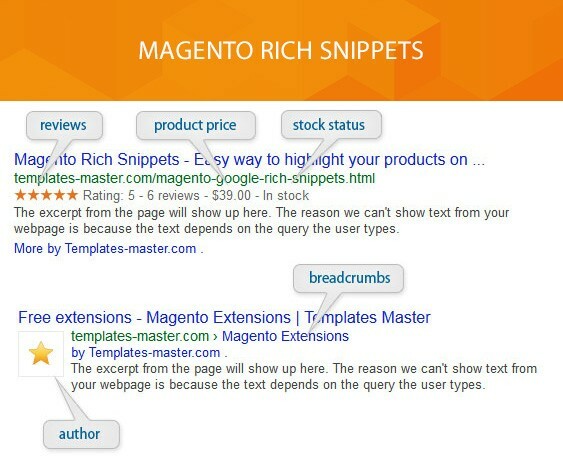 Rich Snippets demo is available at our demo server. 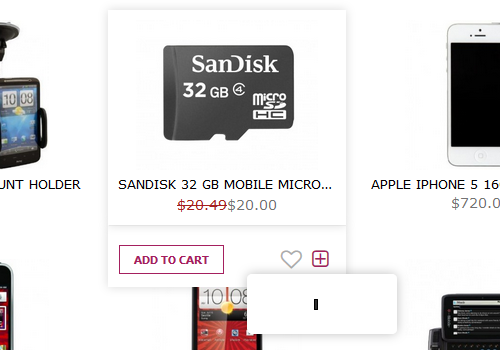 Use Rich Snippets extension developed for Magento 2 in order to give Google the detailed product information that can be used to show Rich Snippets with different content directly on search results pages. 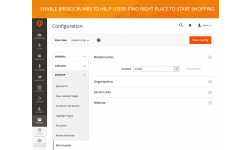 Improve the visibility of your website with Magento rich snippets display. Grab users attention with eye-catching text across Google search results. By showing snippets you'll help visitors to start discovering your product/event/service right from the search page. 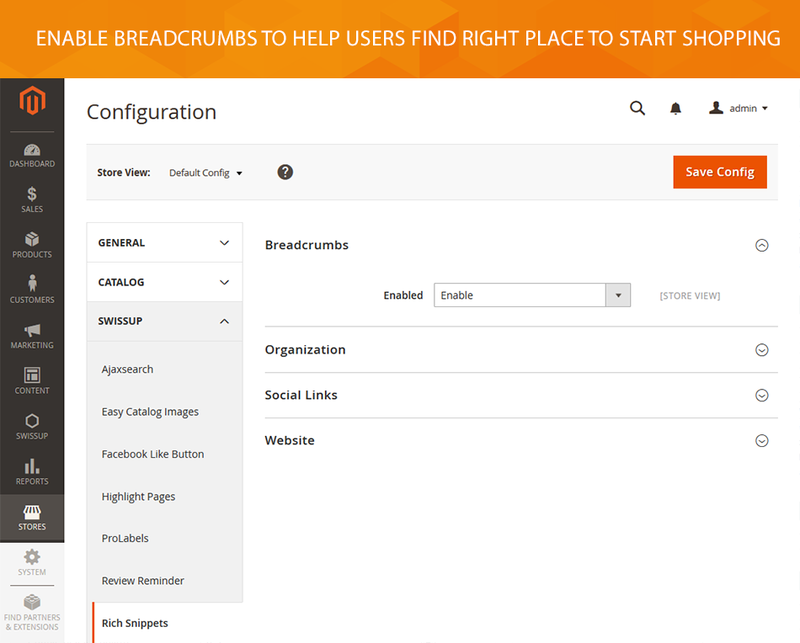 Rich Snippets extension allows you to display breadcrumb trail to users on search result page. Thereby your potential customers will be enabled to navigate to the appropriate catalog pages. This will help you improve customer loyalty as well as get much traffic. 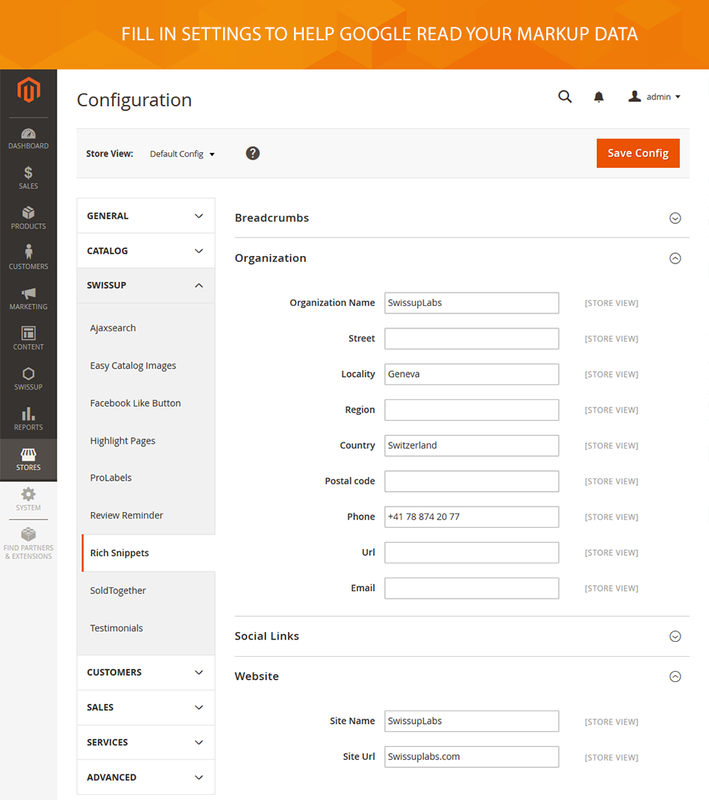 Move extension config to ‘Swissup SEO’ section. Respect store level values of extension configuration.